With some supermarkets stocking over 500 different varieties of yogurt and manufacturers constantly expanding options, one may become overwhelmed with which yogurt is best. Dietary Guidelines for Americans (DGA) has identified yogurt as a food to consume to close the consumption gap on calcium, potassium and vitamin D. Yogurt also provides high quality protein which supports bone and muscle strength. Consumption of yogurt may improve health by lowering risk of diabetes, metabolic syndrome, cardiovascular disease, and obesity. It seems yogurt varieties are endless so one has to determine which is most supportive to his or her health. Traditional, plant-based, Kefir, Icelandic, Greek, French and Australian are just some names that top the list of options. Each manufacturer may produce different varieties of yogurt based on milk used, ingredients added, strained or unstrained, length of culturing, type of bacteria used to culture, and probiotics contained. Individuals should always read the nutrition facts panel, ingredient list, and serving size to make optimal yogurt choices. 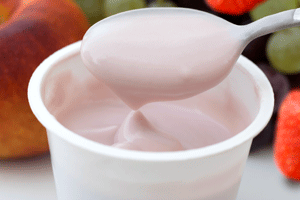 Calories, fat, carbohydrates, sugar, and protein content all vary with each individual type of yogurt. A good rule of thumb is the less ingredients the better quality of the product. The type of yogurt you choose is entirely up to you. Yogurt is a versatile, nutrient dense food with numerous health benefits. It can be eaten throughout the day, not just for breakfast. With more varieties than ever before just remember that all yogurts are not created equal.